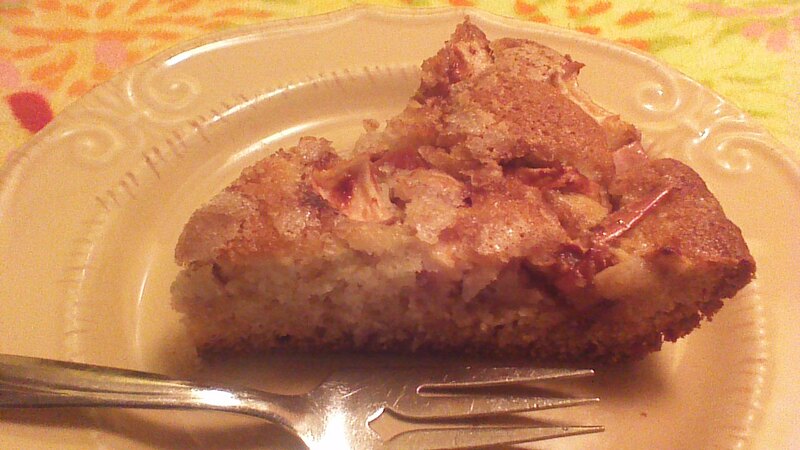 Have you ever bought a boxed apple cake mix – the kind where you add an egg and a chopped apple to the mix, and the whole thing turns out pretty darn well? This is, essentially, that cake. Instead of taking 30 seconds to prepare, this will take you five whole minutes (gasp!). For five minutes of effort, you’ll save a few dollars and avoid a few preservatives. Note: there’s no need to peel the apples for this recipe. I recommend using one red apple and one green apple, for a fun splash of color. A warm slice of this cake makes a lovely dessert, but also makes a pretty fancy breakfast with a big mug of coffee. Sigh. Now I’m hungry! 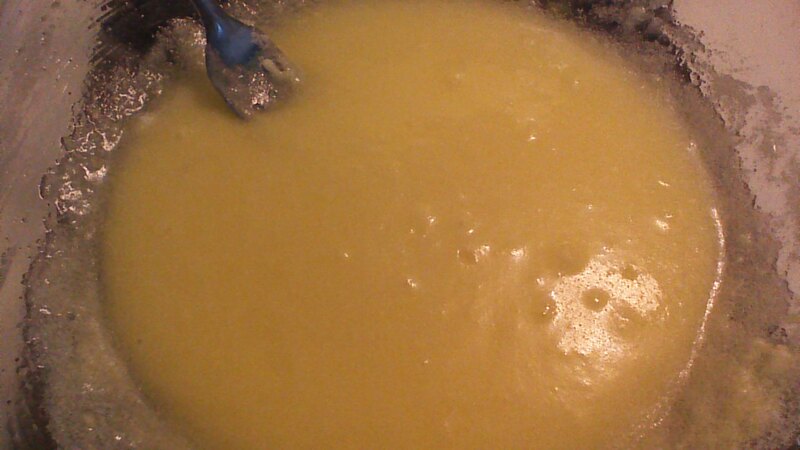 Step 1) Cream together butter, 2/3 cup sugar, egg, and vanilla extract. Step 2) Add flour, salt, and baking powder alternately with the milk (add half the dry ingredients, half the milk, the other half of the dry ingredients, and the other half of the milk). 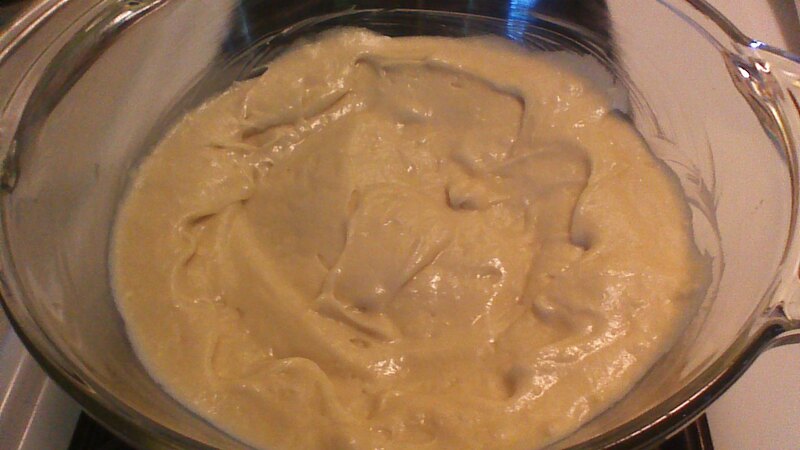 Step 3) Spread batter into a greased, 9 inch round baking dish (a deep dish pie plate works well). 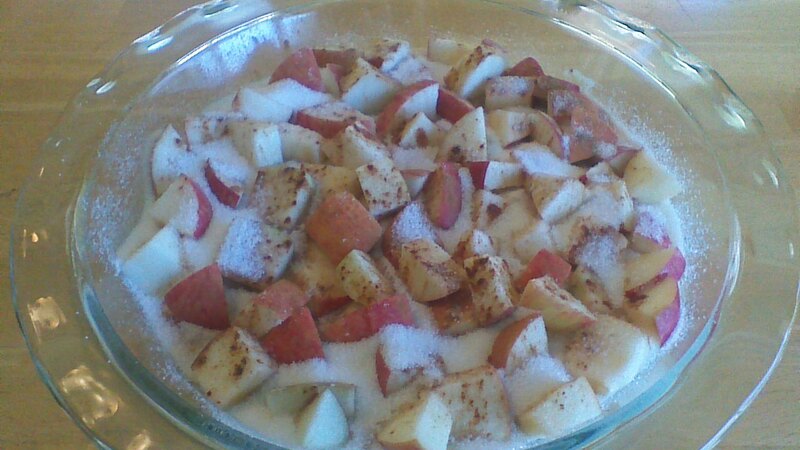 Step 4) Mix 1/4 cup sugar with the chopped apples, and sprinkle sugared apples over batter. Step 5) Mix 1/3 cup sugar with the cinnamon, and sprinkle over the top of everything. Step 6) Bake in a preheated 375 degree oven for 40 minutes or until a toothpick inserted into the batter comes out clean. This entry was posted in Breakfast, Desserts and tagged baking, breakfast, Cake, Cooking, Food, Recipes. Bookmark the permalink. Put the coffee on, cake sounds great.